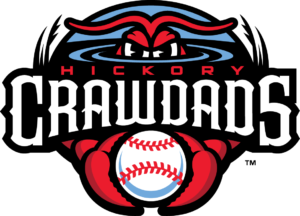 HICKORY 6, KANNAPOLIS 5, 11 inn. Thursday: at Columbia, S.C., 7:05 p.m.
Friday: at Columbia, S.C., 7:05 p.m.
Saturday: at Columbia, S.C., 6:05 p.m.
Jarrett, a former standout at Hickory High and Charlotte, had his best day of the season at the plate on Saturday as the Keys split a doubleheader at home, beating Salem (Va.) 8-2 in the opening game and falling 8-7 in the second game. A crowd of 3,282 saw Jarrett go 2-for-4, score twice and drive in two runs in the first game when he started in right field and batted fourth in the lineup. In the nightcap, Jarrett started in center field, batted fourth, and he was 3-for-4 with an RBI. Jarrett raised his batting average by 114 points in one day and is now hitting .281 with six hits in his last three games. He had walked seven times this season and has three RBIs. The Keys (3-7) finish a series at Salem on Sunday at 2:05 p.m. and play Monday through Wednesday at Myrtle Beach, S.C. (all 7:05 p.m. starts). For fans interested in Fredrick’s games in North Carolina, they will be at Fayetteville for three games on April 23-25 and play at Winston-Salem on April 27-28. Harvey did not pitch on Saturday night when visiting Harrisburg (Pa.) pounded Bowie 10-4 before 3,247. The Baysox (2-7) play Harrisburg (9-1) again on Sunday at 1:35 p.m. then play three games starting Monday at home against Erie (Pa.) before a three-game series that starts Friday at Akron, Ohio. Harvey made his second start of the season on Friday night, taking a loss as Harrisburg won 4-2. He worked four innings, allowing three hits — one a home run — and four runs (all earned). 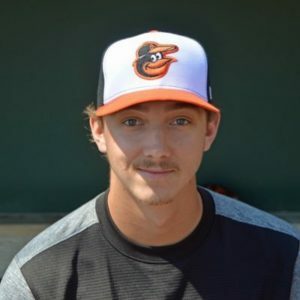 He walked three and struck out six, bringing his season stats to a 0-1 record with an ERA of 8.31 in 8 2/3 innings, allowing 13 hits, eight earned runs with four walks and 12 strikeouts. Harvey threw strikes on 46 of his 77 pitches and threw in 68-degree weather with a drizzle and, at one point, there was an eight-minute rain delay. A third start for Harvey will most likely come when the Baysox go to Akron for games on Friday, Saturday and April 21. Harvey didn’t pitch after June 2 of last season and went 1-2 with a 5.57 ERA in nine starts, pitching 32 1/3 innings, walking nine and striking out 30. He’s in his sixth year in the minor leagues after being a first-round draft pick in 2013. In his first five pro seasons, Harvey went 8-10 with an ERA of 3.11 with 47 appearances (all starts) and 176 2/3 innings pitched. He walked 60 and struck out 217. 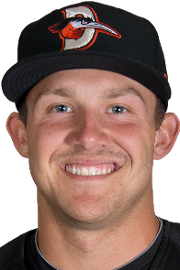 Deal, a former Bandys High left-handed pitcher, did not pitch on Saturday when St. Lucie (Fla.) toasted the visiting Fire Frogs 11-1 before a crowd of 5,665. He made his second start of the year on Friday, picking up his first win of the season after going five innings. Deal gave up three hits, three runs (one earned) with three walks and four strikeouts. After two starts, he’s 1-0 with an ERA of 0.82, pitching 11 innings, allowing five hits and one earned run, walking three and striking out nine. He threw 46 of his 74 pitches for strikes on Friday, facing 20 batters in 87-degree weather before only 783 fans. 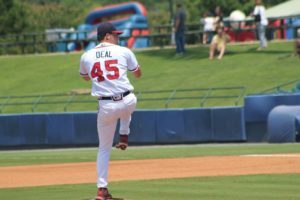 Deal’s next probable start will likely come Wednesday night against Daytona Beach in Kissimmee (Fla.) at 6 p.m.
Florida plays at St. Lucie on Sunday and then at home Monday through Wednesday against Clearwater (Fla.), and starts a 3-game series at home against Daytona Beach (Florida) on Thursday. Deal is in his third pro season after signing with the Braves after a morning tryout at Bandys, and he pitched in college at Presbyterian.